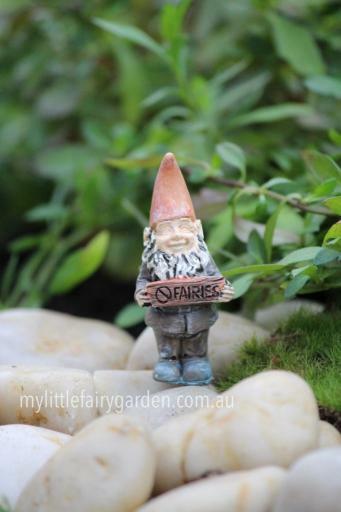 Johnny the gnome holding a 'no fairies' sign. Johnny the gnome holding a 'no fairies' sign. Includes a wire pick for securing in the ground. Suitable for a micro mini display. Made from: resin and wire pick. - Handle with care, has a sharp wire pick.